Hilary Bradt (née Hilary Cross) is a publisher, writer, lecturer and sculptor. She co-founded Bradt Travel Guides in 1974 and remains one of the directors of the company. 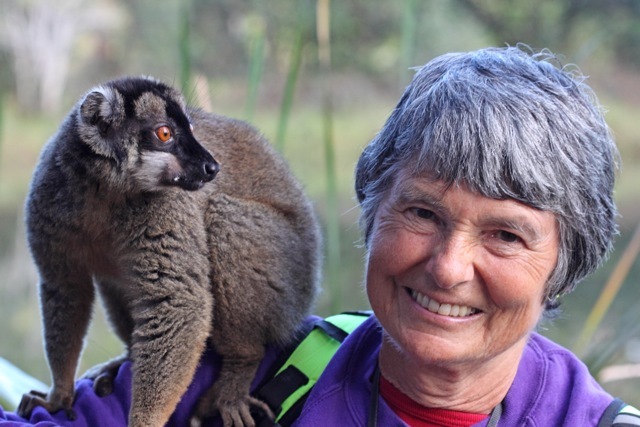 She is an award-winning writer, and has lectured – mostly on her specialist subject, Madagascar – in seven different countries as well as on cruise ships. She is a patron of Money for Madagascar and involved in various charities in that country. Born in 1941, she was brought up in Buckinghamshire and worked as an occupational therapist in the USA and South Africa before returning to Bucks in 1980 to concentrate on publishing and tour-leading. She now lives in Devon. In 2008, Hilary was awarded an MBE for services to the tourist industry and to charity, and the following year received the Lifetime Achievement Award from the British Guild of Travel Writers. Recently she was granted the high honour of Officier de l’Ordre de Madagascar – the Malagasy equivalent of an OBE – in recognition of four decades’ pioneering promotion of the country’s tourism potential.